JPW COMMUNICATIONS is an award-winning communications firm that exclusively serves the needs of public sector clients. From cities, counties, water districts, ports, school districts, universities, transit districts and other types of public-serving organizations, our government experience is unmatched. That positions us uniquely to understand your agency and deliver innovative solutions that work without a lot of ramp up time. 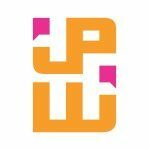 Founded in 2015, JPW COMMUNICATIONS is a boutique firm that offers impeccable attention to detail and hands-on guidance every step of the way. Our full spectrum of services include strategy development, community outreach, media relations, marketing campaigns, video, web, social and so much more. Contact us today to learn how we can help you connect and engage your constituents in meaningful and memorable ways.